Looking for a comfortable, stylish, low key yet still religiously inspired wall sticker with which to decorate your home? Why not stop looking, because this fish is everything you need. 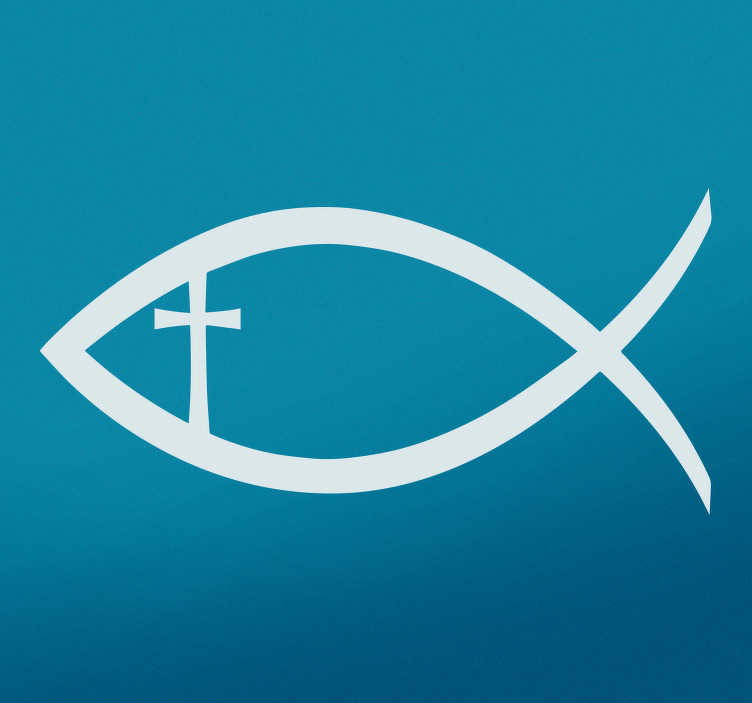 Depicts a simple artistic drawing of a fish, with a Christian cross inside, making it perfect for any part of your home! Choose your size and buy this religious decal now!